villa con 3 camere in affitto per le vacanze ad Iznate. Controlla tutti i dettagli, le foto e le recensioni dell'immobile n° 27782.
we have just recently returned from villa avefria and had a fantastic time as a family the villa is a bit rural however this added to the relaxation that we were looking for and lots of lovely Spanish villages nearby to visit. the pool area was fantastic and my little one had a great time playing till late into the evening. the villa was clean and well laid out we would definately return. We stayed with our family at villa Avefria one week in july. 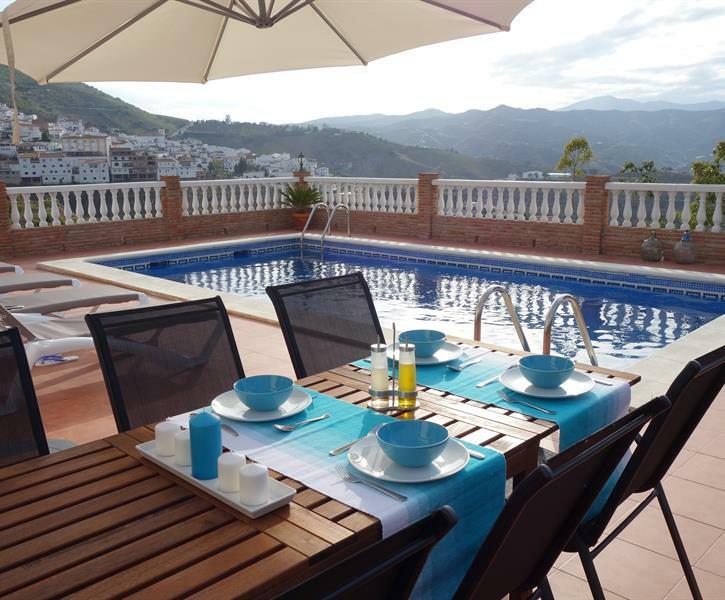 The villa is more beautiful than you Can see on the pictures and the view is stunning! It all curtainly lived up to our expectations and more ;) Everything is very clean and neat inside and outside the villa. We had the Best week here and the owners is really sweet to communicate with. Everything is in driving distance, however you do need a car that can go on Hills to go all the Way up to the villa :) We Would love to come back and stay at this beautiful hitten gem. ‘Balsam for sjelen’ (balsam for the soul), as we would say in Norway, best describes our holiday at Villa Avefria. Close to Iznate, and overlooking the area with its grapes and mangos, you get a good impression of the local life in Spain. The villa made us truly able to relax. Good communication with the owners throughout the stay. Beautiful villa and surroundings. Just a short walk away from the small town of Iznate where you can have dinner at the local tapas restaurant. The villa is nice and has everything you need for your stay. The view from the pool/terrace is beautiful. It was also a good place for us to explore Andalucia. Would recommend to go to for instance to Comares or Frigliana. Would love to come back!